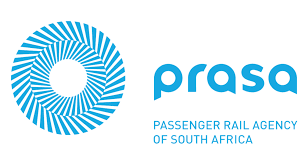 South African Transport and Allied Workers’ Union (SATAWU) will once again embark on a national roadshow to consult members at the Passenger Rail Agency of South Africa (PRASA) on whether to accept the latest salary increase offer. At an off the record meeting on Wednesday, Prasa made a final revised offer to labour to be backdated to 1 April 2017. Attached to the offer is the assurance by Prasa Acting CEO Lindikhaya Zide that there will be no forced retrenchments following the implementation of the salary hike. Zide was forced to intervene in negotiations after it became clear that if no agreement was reached, labour would take its members on a nationwide strike after a certificate of non-resolution was issued early this month. Parties at the meeting also agreed other substantive matters which formed an integral part of these negotiations would be discussed further at the Bargaining Council and that yet to be formulated timelines would be adhered to stringently.